Withings, a part of Nokia Technologies, has previously announce that presales of their latest watch Steel HR, will start at December 7th. We still don’t know the exact date when the watch will find its place in stores or when will Withings start to ship preordered watches. What we know is that this beautifully designed watch is a great continuation of Steel, which is upgraded with heart rate sensor and LCD screen to measure your heart rate (obviously) and display you information like missed calls, reminders, steps taken, app notification (allegedly coming). The whatch will cost from 189.95€ for 36 mm casing and 199.95 for 40 mm casing. You can subscribe to be informed via e-mail when pre-orders start. 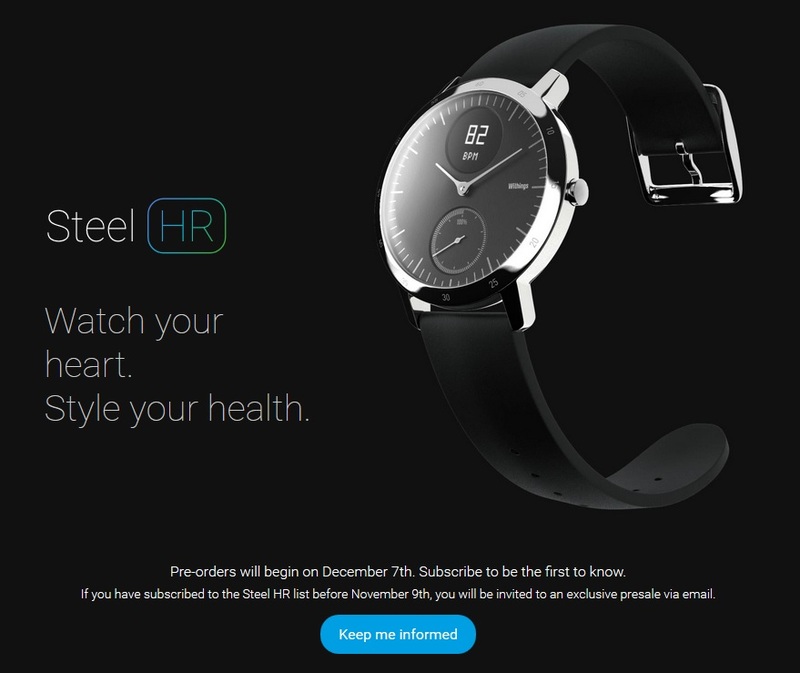 Find more about Steel HR at Withings.com. Nokiamob is 6 years old!